(15 mins.) and another film. 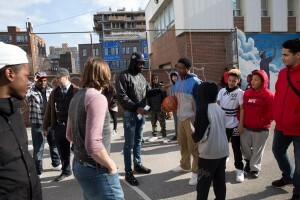 A 3-point competition was hosted by CK, a pro basketball player. 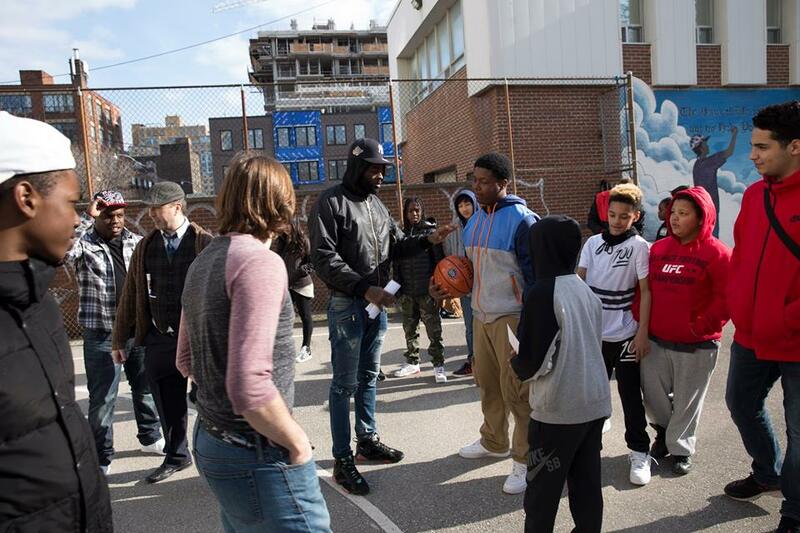 The winner received a team-signed basketball donated by the 905 Raptors. Former Pro Wrestling Tag Team Champion, “Soulman” Ricky Johnson doing play-by-play with a young fan. For his participation, the youth won a 905 Raptors team signed T-shirt. 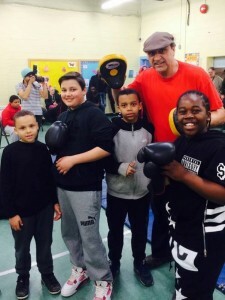 Boxing Seminar with help from Ricky Atkinson. Benefits that boxing offers youth are discipline, respect, and self-confidence. Thanks to our friends at Lanna Muay Thai for volunteering their time at the ISFFE for kids from the APCC.